HEICO is an international manufacturer and supplier of cold-formed bolt fastening solutions for use in marine applications. HEICO’s range of durable and competitively priced products includes solid, semi-hollow and hollow, metal-plastic, threaded and knurled parts in addition to a variety of step pins and ball pins, as well as more specialist products to suit customer requirements. HEICO’s commitment to innovation within the industry has also resulted in the creation of the HEICO-LOCK division and HEICO-TEC tension nut. The HEICO group also offers a number of testing, research and development services to ensure customer get the best out of their products, and conduct dropped object prevention operations to aid the security and wellbeing of offshore workers. All HEICO parts are certified to the highest industry quality specifications. HEICO’s cold forming plant in Ense, Germany houses a total of 36 forming presses, ranging from two-die up to six-stage machines delivering up to 120t of pressure force, which the company use to transform 3mm-16mm wire (made of steel, stainless steel and nonferrous metals) into a variety of fastening parts. The reliability and uniformity of cold-forming processes grant a level of precision that could previously only be achieved on a consistent basis with more cumbersome turned-parts machinery. Our six-stage machines are able to produce very intricate and complicated geometries, and when necessary we also implement the use of segmented dies for extra uniformity. We are capable of producing parts ranging from 4mm-100mm in length and head diameters up to 30mm in one pass. Cold extrusion has a number of advantages over turning and casting methods, including higher dimensional accuracy, solid surface quality, increased reproducibility as a result of keyed tools, an uninterrupted grain orientation and an economically optimal procedure well-suited for mass-produced items. HEICO’s prolific yet accurate production techniques have the capacity to produce up to 75 million parts a month, making them the clear choice for high-volume consignments of heavy-duty cold-formed parts. A strategy of continuous-process improvement forms the basis of HEICO’s Total Quality Management System (TQMS), which has seen the company achieve both ISO 9001:2008 and ISO/TS 16949:2009 accreditation, along with product approval from organisations such as Deutsche Bahn and DNV. ISO/TS 16949:2009 is the globally recognised quality-management specification for the automotive industry, providing a framework for achieving best practice with regards to the design and manufacture of products for the global automotive supply chain. This technical specification is regarded as the gold standard within the automotive industry and emphasizes continual improvement, defect prevention and the reduction of variation and waste in the automotive industry supply chain. Consistent product quality has always been of paramount importance to HEICO. The use of an effective quality control system and integrated quality management, production planning systems (PPS), as well as production data acquisition systems provide valuable information that allows the company to continuously improve the performance of our services and the integrity of our products. In addition, quality throughout the whole manufacturing process is further supported by the use of leading computer-aided quality (CAQ) and failure modes and effects analysis (FMEA) systems in product development, production and operations management, along with statistical process control (SPC). The careful, combined use of these tools allows HEICO to deliver premium quality throughout the entire production process. HEICO’s dedication to quality is further underlined by its own in-house laboratory, purpose-built for the rigorous testing of bolt-fastening systems. This fully equipped laboratory includes vibration test rigs; torque / clamp-force test rigs; measuring equipment for force, torque and displacement, and the most up-to-date measuring software. All our test equipment is operated by an experienced and highly skilled lab team, providing customers with test services, research and development support, quality control reporting and the ability to supply a variety of customised tests to individual customer requirements. HEICO’s commitment to the offshore industry has seen them become members of the Dropped Objects Prevention Scheme (DROPS), the industry-wide initiative focused on the prevention of dropped objects, a safety-critical issue in the industry that the company’s bolt-fastening products are able to play an integral role in combating. The company and its subsidiaries play an active part in this international organisation’s work to achieve the goal of dropped object prevention in the industry. The customer is central to our philosophy, and we aim to provide for all our customers’ needs from one single source, comprising bolted-joint product development, in-house lab testing, and engineering and bolted-joint expertise, all backed up by ISO/TS 16949 production quality. Our flexible processes allow for fast response to customer requirements, while providing clients with sophisticated solutions for both standard requirements and specific projects needing a more bespoke service. 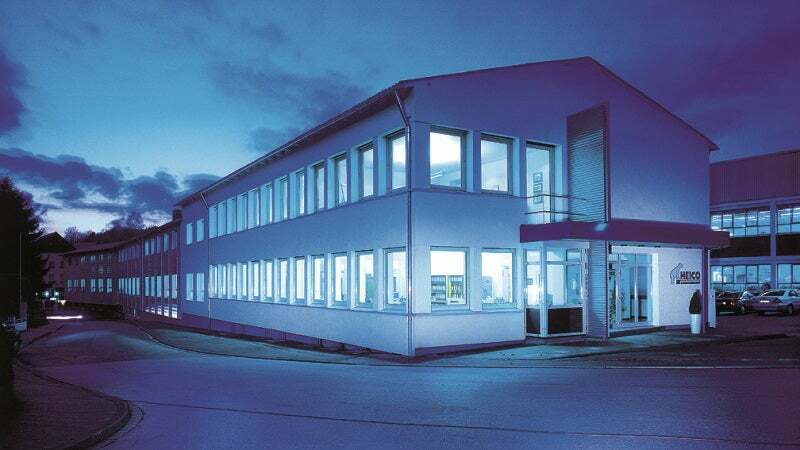 Based in the Ense region of Westphalia, Germany, HEICO Group has been at the forefront of fastener technology since its inception more than 100 years ago. The family owned business has a long tradition of forming metal, starting out producing upholstery and furniture nails, before expanding into cold-forming of industrial fasteners. HEICO subsidiaries operate in territories including the US, UK, France, Spain, Italy, Poland, Czech Republic, the Netherlands, Sweden, Turkey, Russia and China. The group is committed to forging strong customer relationships, ensuring the highest professional standards of technical support along with the ability to significantly reduce delivery times.